I was born and raised in northeast Ohio to Lebanese immigrants. I received my D.D.S. degree from The Ohio State University College of Dentistry. 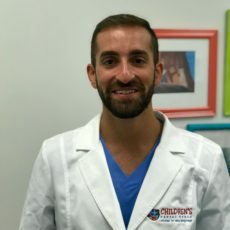 My desire to offer children and patients with special health care needs the highest level of treatment led me to specialize in pediatric dentistry, where I trained at the University of Illinois at Chicago. In my spare time, I enjoy cheering on Cleveland’s professional sports teams (even the Browns! ), swimming, cooking, volunteering, and writing restaurant reviews.